Newspapers reporting on the death of the fir tree noted its significance in the Squamish legend of Siwash Rock made famous by E Pauline Johnson. 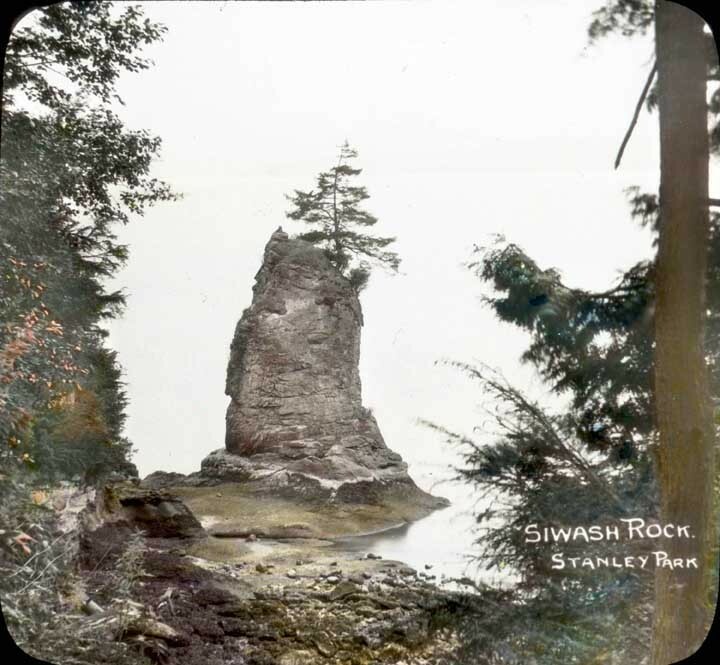 In the legend, three men of the Sagalie Tyee turn the young chief Skaalch into Siwash Rock. The tree was a bough that he was using to clean himself when he was petrified. 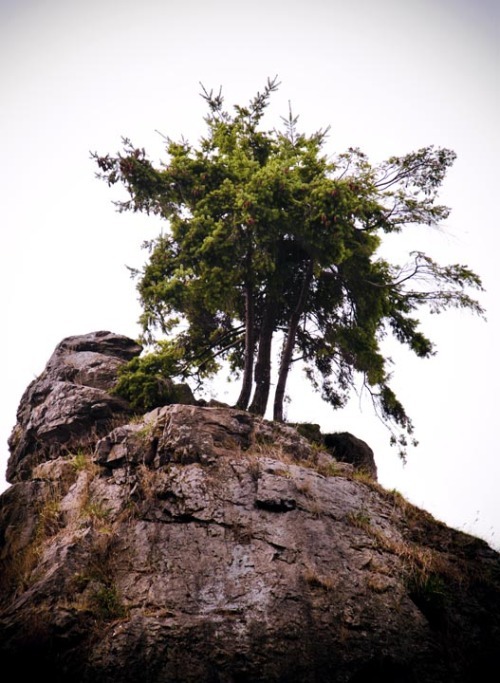 After persisting for three years, park staff were able to report that six new fir trees had taken root atop Siwash Rock, and it appears that three of them have survived. A sign has been placed near the rock by the City of Vancouver expressly forbidding anyone from climbing Siwash Rock. Source: Siwash Rock, 1930s, City of Vancouver Archives #371-2851; Siwash Rock trees, 17 October 2013, taken by me.